Cruising sails are the bread and butter of ever sail loft. Since 1947 Lee Sails has been making a complete line of cruising sails. We have supplied many sailboat manufactures such as Bayfield and Hughes in Canada and manufactures in many other countries. Perhaps we supplied your Yacht? Our extensive experience, traditional handiwork, attention to details and high tech tools unite to produce the finest sails at excellent pricing. 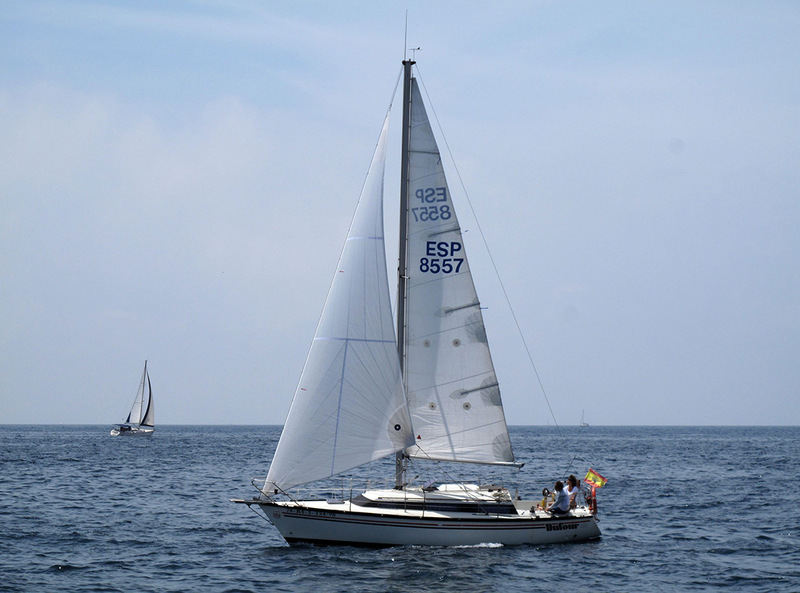 Unique to the industry, every Lee Sail comes complete with a registration number, which is your assurance of consistent quality. Lee Sails has had a distribution system in Canada and United States for over 40 years. The amalgamation of Lee Sails North East and Lee Sails Canada now provides "one stop shopping" for Canada and Eastern United States. Your comprehensive quotation will include all requested details, including our suggested sail cloth specification, cloth weights and warranty.